Conventional lubricants are formulated based on mineral oils derived from petroleum. Mineral oils contain many classes of chemical components including aromatics, paraffins, naphthenes, sulfur and nitrogen species, etc, and its composition is determined primarily by the crude source. Un-additized mineral oils may be good for general purpose use, but are not optimized for any performance feature. However, conventional mineral oils composed of Group II oils, using the latest refining and extraction techniques, offer advantages not seen in oils from the 1940’s through the 1970’s. In order to set the stage, let us first review the basic API Groups of base oils and discuss their basic refining and crude oil processing techniques. Section I: Group I through 3 base oils. [Definition of Wax: Wax is a large hydrocarbon molecule that prevents oil from flowing at colder temperatures; paraffin, a flammable, whitish, translucent, waxy solid consisting of a mixture of saturated hydrocarbons, and obtained by distillation from petroleum or shale and used in candles, cosmetics, polishes, and sealing and waterproofing compounds; In chemistry, paraffin is used synonymously with alkane, indicating hydrocarbons with the general formula CnH2n+2]. [Definition of Catalyst: A substance that participates in chemical reactions by increasing the rate of reaction, yet the catalyst remains intact after the reaction is complete]. In the past, two-thirds of the base oil in North America were manufactured using solvent refining. Solvent refined base oils are commonly called Group I base oils which are characterized as those having less than 90% saturates (>10% aromatics) and more than 300 ppm sulfur. Remove aromatics by solvent extraction. Remove wax by chilling and precipitation in the presence of a different solvent. Aromatics are removed by solvent extraction to improve the lubricating quality of the oil. Aromatics make good solvents but they make poor quality base oils because they are among the most reactive components in the natural lube boiling range. Oxidation of aromatics can start a chain reaction that can dramatically shorten the useful life of a base oil. The viscosity of aromatic components in a base oil also responds relatively poorly to changes in temperature. Lubricants are often designed to provide a viscosity that is low enough for good cold weather starting and high enough to provide adequate film thickness and lubricity in hot, high-severity service. Therefore, when hot and cold performance is required, a small response to changes in temperature is desired. The lubricants industry expresses this response as the viscosity index (V.I.). A higher V.I. indicates a smaller, more favorable response to temperature. Correspondingly, many turbine manufacturers have a minimum V.I. specification for their turbine oils. Base oil selection is key for meeting this specification because turbine oil additives do not normally contribute positively to the V.I. in turbine oil formulations. Aromatics are removed by feeding the raw lube distillate (vacuum gas oil) into a solvent extractor where it is contacted countercurrently with a solvent. Popular choices of solvent are furfural, n-methyl pyrrolidone (NMP), and DUO-SOL™. Phenol was another popular solvent but it is rarely used today due to environmental concerns. Solvent extraction typically removes 50-80% of the impurities (aromatics, polars, sulfur and nitrogen containing species). The resulting product of solvent extraction is usually referred to as a raffinate. The second step is solvent dewaxing. Wax is removed from the oil to keep it from freezing. Wax is removed by first diluting the raffinate with a solvent to lower its viscosity to improve low-temperature filterability. Popular dewaxing solvents are methyl-ethyl ketone (MEK)/toluene, MEK/methyl-isobutyl ketone, or (rarely) propane. The diluted oil is then chilled to -10 to -200C. Wax crystals form, precipitate, and are removed by filtration. Hydrotreating was developed in the 1950s and first used in base oil manufacturing in the 1960s by Amoco and others. It was used as an additional “cleanup” step added to the end of a conventional solvent refining process. Hydrotreating is a process for adding hydrogen to the base oil at elevated temperatures in the presence of catalyst to stabilize the most reactive components in the base oil, improve color, and increase the useful life of the base oil. This process removed some of the nitrogen and sulfur containing molecules but was not severe enough to remove a significant amount of aromatic molecules. Hydrotreating was a small improvement in base oil technology that would become more important later. Hydrocracking is a more severe form of hydroprocessing. It is done by adding hydrogen to the base oil feed at even higher temperatures and pressures than simple hydrotreating. Feed molecules are reshaped and often cracked into smaller molecules. A great majority of the sulfur, nitrogen, and aromatics are removed. Molecular reshaping of the remaining saturated species occurs as naphthenic rings are opened and paraffin isomers are redistributed, driven by thermodynamics with reaction rates facilitated by catalysts. Clean fuels are byproducts of this process. Chevron commercialized this technology for fuels production in the late 1950’s. In 1969 the first hydrocracker for Base Oil Manufacturing was commercialized in Idemitsu Kosan Company’s Chiba Refinery using technology licensed by Gulf. This was followed by Sun Oil Company’s Yabucoa Refinery in Puerto Rico in 1971, also using Gulf technology. Group II base oils are differentiated from Group I base oils because they contain significantly lower levels of impurities (<10% aromatics, <300 ppm S). They also look different. Group II oils are so pure that they have almost no color at all. From a performance standpoint, improved purity means that the base oil and the additives in the finished product can last much longer. More specifically, the oil is more inert and forms less oxidation byproducts that increase base oil viscosity and react with additives. [Definition: ISODEWAXING™: A patented process developed by Chevron which includes the catalytic hydroprocessing steps of Hydrocracking, Hydroisomerization, and Hydrotreating to produce Group III oils]. [Definition: isomerization; the chemical process by which a compound is transformed into any of its isomeric forms, i.e., forms with the same chemical composition but with different structure or configuration and, hence, generally with different physical and chemical properties; the process by which one molecule is transformed into another molecule which has exactly the same atoms, but the atoms have a different arrangement. The first catalytic dewaxing and wax hydroisomerization technologies were commercialized in the 1970s. Shell used wax hydroisomerization technology coupled with solvent dewaxing to manufacture extra high V.I. base oils in Europe. Exxon and others built similar plants in the 1990s. In the U.S., Mobil used catalytic dewaxing in place of solvent dewaxing, but still coupled it with solvent extraction to manufacture conventional oils. Catalytic dewaxing was a desirable alternative to solvent dewaxing especially for conventional neutral oils, because it removed n-paraffins and waxy side chains from other molecules by catalytically cracking them into smaller molecules. This process lowered the pour point of the base oil so that it flowed at low temperatures, like solvent dewaxed oils. Hydroisomerization also saturated the majority of remaining aromatics and removed the majority of remaining sulfur and nitrogen species. Chevron was the first to combine catalytic dewaxing with hydrocracking and hydrofinishing in their Richmond, California base oil plant in 1984. This was the first commercial demonstration of an all-hydroprocessing route for lube base oil manufacturing. In 1993, the first modern wax hydroisomerization process was commercialized by Chevron. This was an improvement over earlier catalytic dewaxing because the pour point of the base oil was lowered by isomerizing (reshaping) the n-paraffins and other molecules with waxy side chains into very desirable branched compounds with superior lubricating qualities rather than cracking them away. Hydroisomerization was also an improvement over earlier wax hydroisomerization technology, because it eliminated the subsequent solvent dewaxing step, which was a requirement for earlier generation wax isomerization technologies to achieve adequate yield at standard pour points. Modern wax hydroisomerization makes products with exceptional purity and stability due to extremely high degree of saturation. They are very distinctive because, unlike other base oils, they typically have no color. By combining three catalytic hydroprocessing steps (Hydrocracking, Hydroisomerization, Hydrotreating), molecules with poor lubricating qualities are reshaped into higher quality base oil molecules. Pour point, V.I., and oxidation stability are controlled independently. All three steps convert undesirable molecules into desirable ones, rather than have one, two, or all three steps rely on subtraction. Among the many benefits of this combination of processes is greater crude oil flexibility; that is, less reliance on a narrow range of crude oils from which to make high-quality base oils. In addition, the base oil performance is exceptionally favorable and substantially independent of crude source, unlike solvent-refined base oil. So base oils with a “conventional” V.I. (80-119) are Group II. Base oils with an “unconventional” V.I. (120+) are Group III. Group III oils have also been called unconventional base oils (UCBOs) or very high V.I. (VHVI) base oils. Modern Group III oils have greatly improved oxidation stability and low temperature performance. Consequently, many group I or II plants are now being upgraded to enable them to make the modern hydroisomerized Group III oils. Modern Group III oils today can be designed and manufactured so that their performance closely matches PAOs in most commercially finished lube applications. From a processing standpoint, modern Group III base oils are manufactured by essentially the same processing route as modern Group II base oils. Higher V.I. is achieved by increasing the temperature or time in the hydrocracker. This is sometimes collectively referred to as the “severity.” Alternatively, the product V.I. could be increased simply by increasing the feed V.I., which is typically done by selecting the appropriate crude. The API classifies GTL base oils as Group III or unofficially it has been called, “Group III+.” It is this author’s view that the GTL process results in a “synthesized” oil and should be given a separate API classification as they do PAO, or moved to the Group V classification. A separate, future debate can address this issue and will not be further discussed here in this white paper. [Definition: Chemical Synthesis; the process of constructing complex chemical compounds from selected, simpler ones; it is applied to all types of chemical compounds, but most syntheses are of organic molecules; chemical synthesis involves the combination of two or more selected atoms (or molecules) to make a finished and predictable product]. [Definition: Synthetic Lubricant; a lubricant made by the process of chemical synthesis in contrast to the successive refinement or extraction of mineral oils]. Since many chemical substances do not occur naturally, or in enough quantity or purity for commercialization, we resort to chemical synthesis to make new products. For example aspirin is made by synthesis using an esterification reaction. Salicylic acid is treated with acetic anhydride, an acid derivative, causing a chemical reaction that turns salicylic acid’s hydroxyl group into an ester group (R-OH → R-OCOCH3). This process yields aspirin and acetic acid, which is considered a byproduct of this reaction. Small amounts of a specific acid are always used as a catalyst. (D. R. Palleros, Experimental Organic Chemistry. New York: John Wiley & Sons. (2000)). During a chemical synthesis, we refer to the starting materials as the reactants. Think of the reactants as your basic building blocks; they are your atoms (or molecules) that are absolutely required to complete any chemical synthesis reaction. The type of product made varies and is dependent on the reactants. When the atoms (or molecules) combine, they will form a product. What drives this ability to make a product, using reactants, is a chemical reaction, a process that is driving the formation of a product using different starting materials, or reactants. With chemical syntheses, these processes generally only go in one direction. A synthetic chemical is then made from the ground up in the laboratory or the chemical processing plant by the process of synthesis, as differentiated from refinement or extraction. A synthetic base oil is produced from well-defined, carefully chosen chemical compounds, and by a specific chain of chemical reactions. A molecularly engineered base stock is optimized for viscosity index, pour point, volatility, oxidative stability, flash point, shear stability, and other desirable properties. Classified as API Group IV and Group V base oils. The use of the word “synthetic” in the lubricants industry has historically been synonymous with polymerized base oils such as poly-alpha olefins (PAOs), Esters, and other synthesized base oils, such as alkylated naphthalenes (AN), which are made from selected starting atoms or molecules. Some authors have stated that the term “synthetic” was given a special meaning by the lubricants industry because these types of oils were the only components available for high-performance lubricants at that time. This is purely an attempt to obfuscate the issue. Other authors and marketing media have attempted to further obfuscate the issue by using the word, “Performance,” in advertising media, as if ‘performance” somehow equaled “synthetic.” While Group III base oils approach the characteristics of Group IV base oils, “performance” is not a chemistry term, but rather an ambiguous term used by marketing. In an attempt to further clarify the issue, finished engine oils (base oils plus additives) are NOT to be placed into any base group, as has been attempted by our beloved and uneducated marketing folks. In academia and in the chemical industry, the term “synthetic” never meant anything different than the definition given above. The first commercially viable process for making Group IV PAO was pioneered by Gulf Oil in 1951 using an AlCl3 catalyst. Mobil patented an improved process using a BF3/AlCl3 catalyst in the 1960s. (See also, This Forum Thread, for a review of Synthetic Lubricants). [Definition: Polymerization; the process of forming a repeating chain molecule]. [Definition: Monomer; A monomer is a molecule that forms the basic unit for polymers; Monomers may bind to other monomers as well. Monomers may be either natural or synthetic in origin and form a repeating chain molecule via a process called polymerization]. [Definition: Oligomers; Oligomers are polymers consisting of a small number (typically under one hundred) of monomer subunits]. [Definition: Oligimerization; a chemical process that converts monomers to macromolecular complexes through a finite degree of polymerization]. [Definition: Olefin; an alkene, or unsaturated hydrocarbon with the general formula CnH2n. The simplest olefin is ethylene (ethene) gas, H2C=CH2 or simply, C2H4]. PAO’s are the workhorses of synthetic and Blend lubricating oils, comprising greater than 45% of the synthetic base oil market. For PAO synthesis, the starting olefins (see above definition) can be is 1-Decene, (C10H20), or 1-Dodecene, or 1-Tetradecene. 1-Decene, or 1-Dodecene, or 1-Tetradecene liquids are produced by the oligomerization of the simpler ethylene gas molecule. It is one of the many Linear Alpha-Olefins (LAOs) used in the growth process to finally yield LAOs. [Note: 1-Decene liquid has a kinematic viscosity of 1.013 [email protected], the 1-Dodecene liquid has a kinematic viscosity of 1.6 [email protected], and the 1-Tetradecene liquid has a kinematic viscosity of 5.9 [email protected]! Compare to the viscosity of water which has a kinematic viscosity of 1.0034 [email protected]]. The 1-Decene, or 1-Dodecene, or 1-Tetradecene liquids becomes a PAO liquid by polymerization (the linking together of monomers) using the Friedel-Crafts process. This process uses a catalyst, specific temperature conditions, and specific pressures to give rise to the higher olefin oligomers, such as the C20 through C70 olefins. The degree of polymerization is dependent upon the type of catalyst used. For example, a Boron Triflouride (BF3) catalyst gives low viscosity base stocks from about 2.4 to 8.0 cSt. An Aluminum Trichloride (AlCl3) catalyst will produce higher viscosity PAOs from 10 cSt on up. The final process in the PAO synthesis is to introduce hydrogen at specific temperatures and pressures to create a fully saturated hydrocarbon. This hydrogenation process enhances the oxidation stability of the PAO. So the PAO development process is essentially: ethylene gas >> 1-Decene, or 1-Dodecene, or 1-Tetradecene liquid monomer >> Oligimerization into liquid polymers >> Hydrogenation of polymer >> Finished PAO. PAO’s offer improved viscosimetrics’ (higher Viscosity Indices), lower volativities (decreased oil consumption), higher heat conduction (approximately 10% greater thermal energy transfer), and improved oxidation stability (longer drain intervals) over Group I to III mineral oils. Esters are a class of synthesized products derived from the chemical reactions of selected alcohols and acids. [Definition: Hydrolysis; a chemical reaction that causes a substance, in the presence of water, to split into two parts. In such reactions, one fragment of the target molecule (or parent molecule) gains a hydrogen ion]. Esters occur naturally in many plant and animal species. However, unprocessed plant and animal oils also contain other products that tend to increase oxidation and lead to degradation, and therefore are not suitable for lubricants in their unmodified states. Many plant and animal oils are processed such that after pressing and or chemical extraction, the acids are separated from the other products. The resulting acids are then reacted with selected alcohols to produce an ester with characteristics and qualities far superior to unmodified plant and animal oils. Ester starting materials are also made from chemicals derived from petroleum refining processes. https://bobistheoilguy.com/forums/ubbthreads.php/topics/1252272/An_Overview_of_Esters_in_Synth#Post1252272 for a review of Esters in synthetic lubricants). For example, a very useful ester in additive chemistry is the ZDDP molecule, whose function is as an Anti-Wear (AW) and Oxidation Inhibitor (OI). Members of the zinc dialkyldithiophosphate category are substances prepared by reacting phosphorous pentasulfide (P2S5) with one or more primary or secondary C3-C10 branched or linear alcohols to form the phosphorodithioic acid ester. The only exception is the alkaryl dithiophosphate where the alcohol moiety is tetrapropenylphenol. The dithiophosphoric acid ester is further diluted with 10-15 wt-% highly refined lubricating base oil (typical CAS #s 64742-54-7 and 64741-88-4) before it is neutralized with zinc oxide. The oil acts as a solvent in the neutralization reaction, manages the viscosity of the final product and improves consistency. The zinc complex that is formed upon neutralization is not a salt in the traditional sense, since the Zn-S bond is more coordinate covalent in character than ionic. (American Chemistry Council Publication 210-144870). There are about 15 versions of ZDDP chemistry. In fact, many other additive chemistries are esters or in an esterified form. Synthetic Group V base oils include (but not limited to), esters (dibasic and polyol), alkylated benzenes (ABs), alkylated napthalenes (ANs), Polyisobutylenes (PIBs), phosphate esters, silicones, PAG’s (especially oil soluble PEGs or OSPs), and other similar synthesized lubricants not including Group IV. Note: Not all oils in the Group V category are synthesized oils. We are limiting our discussion to those Group V oils that are made by the synthesis process. Ester’s and PAO’s are often used in blending stocks to improve the characteristics of Group I through III base oils. Esters offer advantages to base oil mixes such as improved solvency of additives, improved sludge dispersancy, lower friction coefficient, improved bio-degradeability, and improved thermal stability. 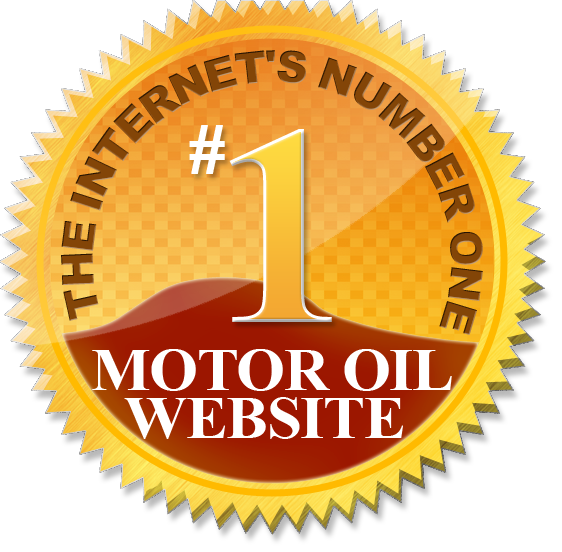 One of the first companies to successfully market a majority, ester-based finished oil was the Amsoil Corporation. (Remember, I said, “successfully”). This was a di-ester based finished oil that was formulated and packaged by the Hatco Corporation, a pioneer in the production of a wide range of various ester base oils. As the price of esters increased, and reached a certain Return-on-Investment (ROI) point, Amsoil and other companies began formulating finished products containing PAO’s with esters and other Group V base oils such as AN’s. Due to the possibility of hydrolysis in some esters, Group V alykylated naphthalenes (AN’s) are often used alone or in combination with esters in majority Synthetic formulations. Summary of Section II: While Group III base oils have many positive characteristics that approach Group IV and V oils, Groups IV and V are truly synthesized oils using selected starting atoms or molecules, with specific and predictable outcomes. So hopefully, we have at least clarified the issue somewhat regardless of which side of the issue you may tilt. [Definition: Finished lubricant; a lubricant in which a series of selected base oils have been blended with a performance improvement additive package such that the final product shows definitive improvements over the base oils alone]. Hopefully, the above sections have provided the reader with enough background information so that he or she can now make an informed decision as to what is a synthetic oil and what is not. However, it is important to note a number of facts about modern finished lubricants. it is the complete, finished overall package and not the specific base oil or oils, that constitute the final quality and performance of that lubricant. Marketing propaganda and media hype will always attempt to persuade you that a certain product has an advantage over another. This is a simply a fact in terms of competition among manufactures. Neither the NAD/BBB decision nor the PQIA stamp will solve this chaos. PQIA is going in the right direction but more needs to be done. However, unless we come to grips with definitive statements and guidelines as to what is a synthetic lubricant is, and what is not, confusion will only continue. Standards’ groups and committees such as the API, SAE, the S.T.L.E., ILMA and others should address the goal of clarification and meet this issue head on. Automotive Full Synthetic Lubricant: 50% Group IV OR 50% GTL WITH the remaining 25% containing any combination of Group V components. Tolerance +, – 10% for improvements in base oil technology. Automotive Synthetic Blend: 40% of Group II WITH the remaining 35% containing any combination of Groups III, GTL, IV and V. Tolerance +, – 15% for improvements in base oil technology. Automotive Conventional: 60% Group II WITH the remaining 15% containing any combination of Groups III, GTL, IV and V. Tolerance +, – 20% for improvements in base oil technology. Thanks to the many BITOG members and colleagues who suggested additional comments and corrections. Many thanks to my “editor,” Mrs. MolaKule, for proofreading and for her help in the “stoichiometrics’” of chemistry. Much of the information in Section I was derived from Reference 1. Much of the information in Section II was derived from References 7 and 8. Technology,” Turbine Lubrication in the 21st Century, ASTM STP #1407, W. R.
2. D. R. Palleros, Experimental Organic Chemistry. New York: John Wiley & Sons. (2000). 4. W. Brown, C. Foot, B. Anderson, Organic Chemistry, Thompson, (2005). 5. T. Engel and P. Reid, Physical Chemistry, Pearson, (2006). 8. Journal of Synthetic Lubricants, various issues.